1. As Stalin once said, "The people who cast the votes decide nothing. 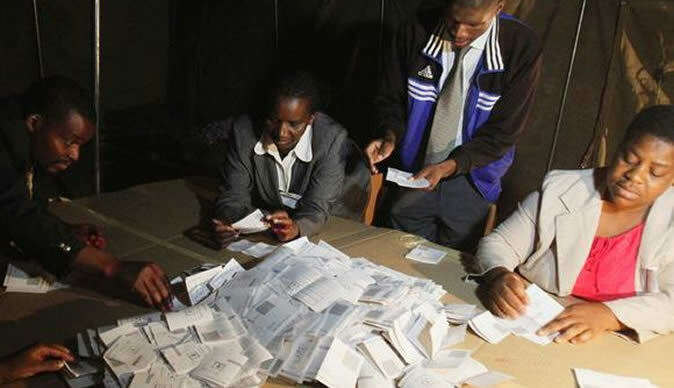 The people who count the votes decide everything." 2. The electoral law of Zimbabwe gives the President the power to approve or invalidate the results of any general election. 3.The below state institutions must be independent for there to be any change in any country in the world. The mistake that the opposition has committed is to focus solely on Zimbabwe Electoral Commission; this is short sidedness. As an example, on 14 July 2018 as Chamisa was addressing a rally in Mutare, army trucks passed by and proceedings temporarily came to a halt. The army did not interfere with the proceedings but chills ran down the spines of those attending and you could hear noises of concerned citizens. Chamisa could not silence them with his sloganeering. 4. The mass street protests are not supported by other opposition political leaders, important professional bodies such as lawyers, doctors, judges, bankers, teachers, and students. 5. Chamisa is committing suicide by using inciting language that borders on the line of treason in any country. This is shooting oneself in the foot.